Set a working directory using the Jupyter Notebook interface using os.chdir. You will need the most current version of Jupyter Notebook and earth-analytics-python environment loaded on your computer to complete this lesson. Now that you have the basics of good project structure out of the way, let’s get your project set up. You are going to create an earth-analytics project directory (or folder) where you will store data and files used in the class. You will then set that project directory as your working directory in python using the syntax. 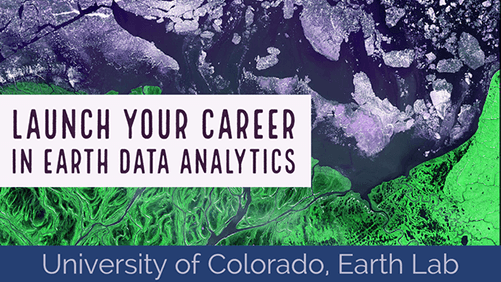 Follow the steps below to create an earth-analytics project directory on your computer and then a data directory located within that project directory. The steps below use bash to create your directory. YOu could also create this manually using File Explorer on a Mac or windows explorer on Windows. Above the -p argument makes a directory recursively - this means it will make both the earth-analytics and the data directory within it. Once you have setup your working directory, you are ready to test things out in Jupyter. To begin, activate the earth-analytics-python environment on your computer and launch jupyter notebook. Then import the os and earthpy python packages. Finally, you can use the function below to set your working directory to your home/earth-analytics directory. the os.path.join() function allows you to build a path from a set of strings. This is a useful function because the path structure can vary on different operating systems. For instance the / slash is used on a mac whereas often windows uses \. By using os.path.join your code will work on any machine that has the directory structure that you list in the function. Thus your work is more reproducible. So this code: os.path.join(et.io.HOME, 'earth-analytics') creates the full path and os.chdir() tells jupyter to change the working directory for the notebook to that path. Make sure that you have an earth-analytics directory setup on your computer in the home directory. If you don’t have this setup, then it is possible that your instructor may not be able to run your code without editing it. Your instructor will not edit your code to ensure it runs during this course!